Today I am going to Review Himalaya Herbals Lip Balm. I am a Herbal fan and will always search for herbal products for head to toe use. I am a crazy in Lip Balm collection. I will have one to two Lip Balm always in my handbag. 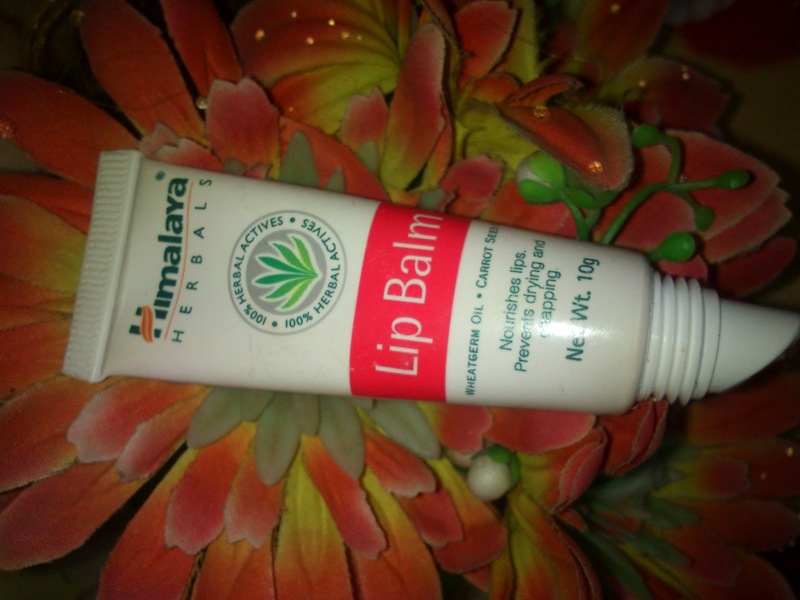 I have just picked up this Himalaya Lip balm from a local super market. This tube attracts me so much. Each gram contains : Oils, Eranda (Ricinus communis) 10mg, Garijara (Daucus carato) 10 mg, Godhuma (Triticum Sativam) 10mg, Hyamaraka (Wrightia Tinctoria) 10mg, narikela (Cocos nucifera) 10mg. Himalaya Herbals Lip Balm with the goodness of Wheatgerm Oil, Carrot seed Oil. Nourishes lips and prevents lips from chopping and drying. It come in a cute small tube pack and easy to keep with you in purse. This Lip balm is white in colour, we have to take the needed amount and apply on the lips. The Lip balm looks like a colourless solid oil like pasty cream. This lip balm spreads evenly in my Lips. It gives enough shine and moisturizes and hydrates the Lips well. I will apply it when I need just moisture my lips. I never experience any darkening on lips because of this Lip balm. This has full of herbal ingredients and smells good. Wheat germ and carrot seed oil is very good in moisturizing lips. I will use it to make shine up my lipstick. It works great for this purpose. During travelling my lips use to get dry because of wind. This lip balm helps me a lot on those time. If we not drinking enough water our lips will get dry and the skin of the lips will starts to peel. So, do drink enough water always. Also drink fresh fruit juices to keep your lips beautiful. This lip balm is similar to vaseline petroleum jelly, but it has good fragrance. I use this lip balm for making shine on my nails. Whenever I feel my nails get dry look with pale in colour I use to apply this lip balm liberally all over my nails. Immediately after few minutes my nails starts to shine and looks so nourished. So, I can say this is a multipurpose product. It moisture and hydrates the lips well. 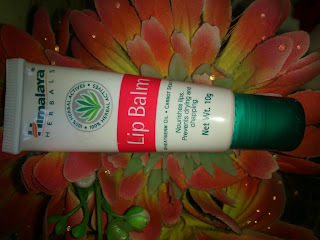 Safe use on Lips as it contains Herbals. Very handy to carry around with me. This lip balm is very cheap when compare with other Lip Balms. Colourless one so won't make your lips coloured when you apply. I am fine. :) Hope you are fine too. he's cute.. how old is he? Hi Lancy Welcome to my blog...How r u doing?